Man, friends! I don’t know what it is, but I’ve been making a lot, but not blogging a lot. I don’t know how I used to make and blog 3 times a week and still have a life! Anyway, it’s finally time to show a new finish! I finished my Weight fo Love quilt! The pattern is a Libs Elliot pattern, but as far as I know, you have to take the class to purchase the pattern. I was in a bit of a creative slump when I signed up for her class. Actually she came to Seattle and I took two of her classes. And since I was in the slump, I thought these looked like fun quilts to learn about. And they are. But I mostly learned, that I enjoy making my own designs than someone else’s. For this one, it was kinda like a paint by number to get you started. Then it was all about the Hex n More ruler. I’ve wanted this ruler for a long time, but I finally ‘HAD’ to have it for class, so I bought it! Yea! 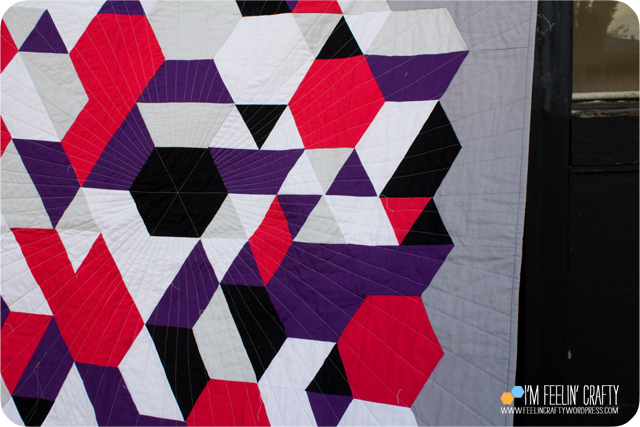 Don’t get me wrong… I love this quilt! But I feel like I didn’t have the connection to it that I do to some of my others since it isn’t my design. But I didn’t love it as much until I quilted it. Then I fell in love all over again! The back even shows it better! 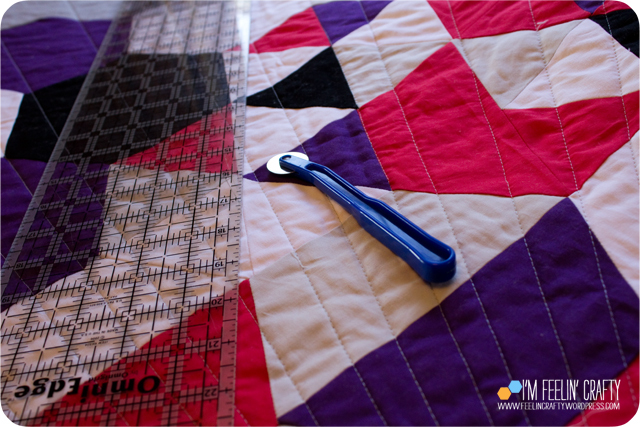 I’m was asked a few times how I laid out the quilting lines. I use one of these smooth tracing wheels and a straight edge. 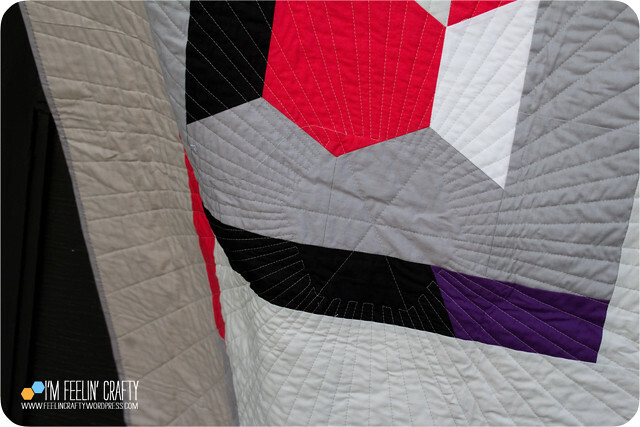 I mark a section, quilt, mark, quilt, etc… It was worth the extra work if you ask me! For the back, I use a lot of left over fabric from the front. 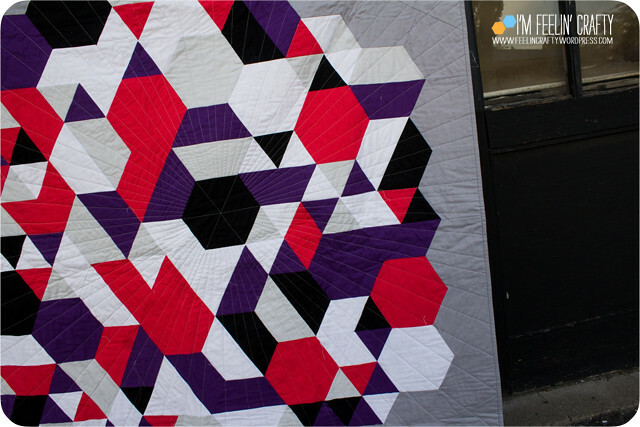 But I also couldn’t let go of a few fo thsoe extra hexagon, so I made them into the back. The quilt is intended to be appliqued onto the quilt top. But, um, nope! Not this one. 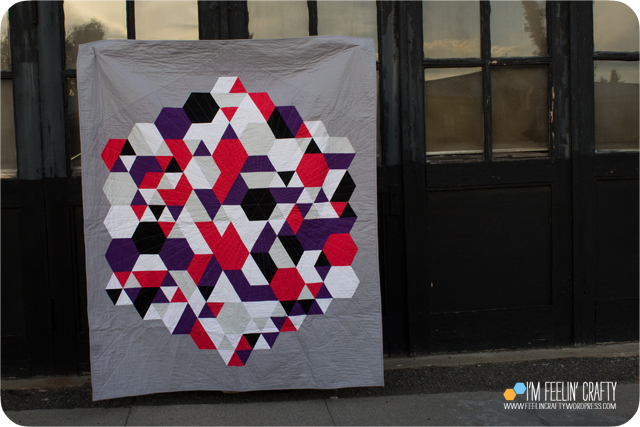 I add a row of grey on each side and sew-d them all the hexagons again! Applique is not my strong suit! 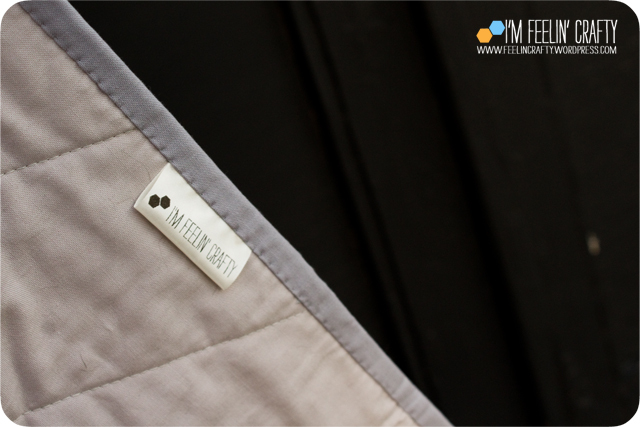 My son always asks why I take a picture of the tag… So now I have to just to tease him! All in all, I’m pretty happy with it and I’m keeping it for myself. The class? I was a bit disappointed that I didn’t learn more. 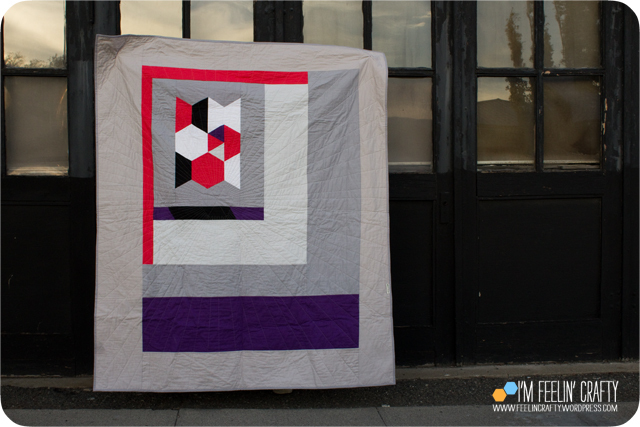 But I am happy I got get the pattern and make this quilt and spend time with by quilting buddies! 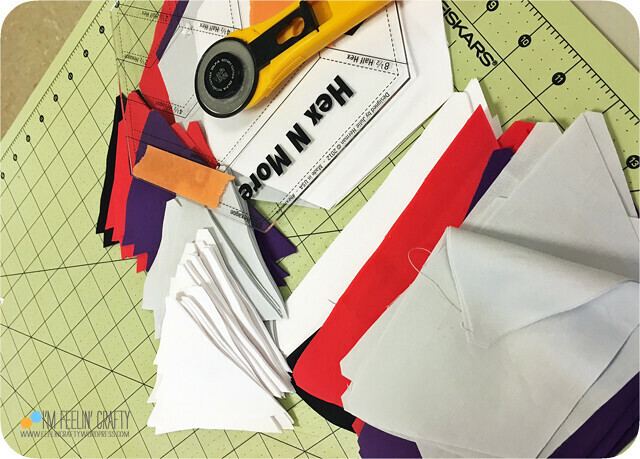 « Sew Ready to Play 2016 Recap! It turned out beautifully! Does your tracing wheel work basically like a hera marker? that is a great finish – I love my hex and more ruler, also the sidekicks. 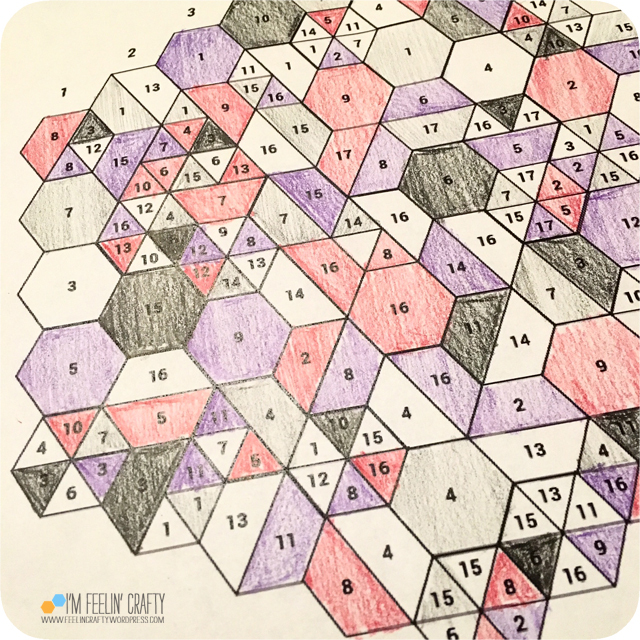 Your colors are wonderful and the mix is just right – I can see how one could get totally lost and frustrated with this pattern. Thanks!!! I haven’t tried the sidekick yet! p.s. On behalf of the FAL cohost, thank you for joining in!! Thanks! Now I’m about to write my next list… It’s going to be similar to the last one AGAIN! !